With spring right around the corner, it’s a great time to pay attention to your trees. In this blog, Seaben Tree Service in Kalamazoo will go over four things that should be a part of your spring tree checklist each and every year. Naturally, the first step is taking a close look at your trees and finding out what you’re dealing with and what issues there may be. You should be able to tell what maintenance is needed by thoroughly inspecting your trees. The cold, snow, wind, and ice of winter in Michigan may have done some damage. Beyond damage done by winter weather, there can also be problems associated with animals, insects, or even just the age of your tree. It’s a good idea to leave major pruning to the professionals.  Oftentimes, the effected areas may require a ladder and there is a proper way to prune that will not damage your trees and am improper way that could potentially damage or even kill your trees. Damaged areas can be pruned in spring, while the pruning of healthy branches is best done when the tree is dormant and not in the growing season. Mulch is not just decorative and there is a right and wrong way to apply it. Using high-quality, nutritious mulch is a great way to ensure and promote the health of your tree. With the snow melting, you will likely need to apply new mulch. Spring is when everything grows and your trees will need nutrients after a cold winter of being dormant. Besides providing your trees with needed nutrients, fertilizer also helps to prevent disease, infestations, and damage from weather. 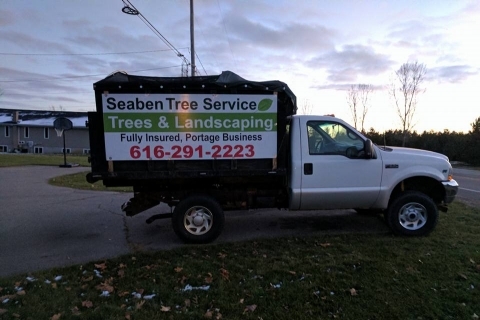 At Seaben Tree Service, we are a premier Kalamazoo tree service company. If you need help with tree removal, tree trimming, stump grinding, and more – do not hesitate to contact us today!